Adding friends and Friends List and an option to see if they are online or not. Open pvp with penalities like dropping item or a percentage of a players gold if killed. The ability to return home/city without having the need to die or travel all the way back. Limited Time Events (where u can win high tier items or gold)like monopoly,slot machine etc..
Knight: Knight's Redemption - reflect % of damage back. This helps people who actually wants to tank but lacks the damage in return. Archer: Paralysis Arrow - 1 second stun. For archers to get away. Paladin: Embraced Protection - % shield. To protect teammates while heal is on cool down. Warrior: Whirlwhim - A spinning dash. Need as a gap closer. Or will never have chance to catch any range characters. Lancer: Lancer's Fury - Since lancer seem to do more liner attacks instead of cone. Make him fire 3 spears in a line. Necromancer: Summon Ancestral Warrior- Summons a Golem with .5 second stun. Guilds with purchases by gold (cause I'm using gold for nothing and I would like to use it). Guilds start with 10 players max. Upgrading it each time, increases max players by 5 (10, 15, 20... till 50). Exp bonus for all the members (between +5% and +10%) during a week. This mean it must be purchased weekly to keep it always active. Guild flag, icons and other customizations also purchased by gold. As a sum up: MAKE GOLD GREAT AGAIN!!!! Programmed with the server hour: Events that can remain active 2 or 3 weeks. Buyable ring in blacksmiths (Tier 1 and Tier 2): Its category and stats are only determinated when it gets traded to another player. Monsters will drop a leprechaum coin with low probability which will be in your inventory during 10 minutes, after this time it will vanish. Sell it as soon as possible by 100G in any blacksmith. Monsters will drop easter eggs with low probability. 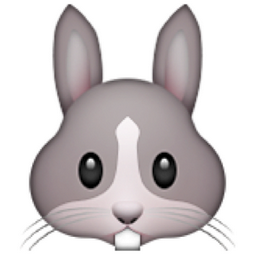 Using one of this eggs will give you a special icon (like top rank's one) over your head of a rabbit emoji (http://pix.iemoji.com/images/emoji/apple/ios-9/256/rabbit-face.png) during 5 mins. They give exp and gold extra (To Be Determinated). They will consist in collecting quest items dropped from monsters with 10% probability. Example: "Collect 5 frozen rocks from the golems" Rewards: 80 gold 5000 exp (1 Golem gives 9500 exp so it's just an extra). Bringing a pet and improving it by leveling up battling or feeding it, you could also equip items. Guild wars with rewards for the winners. Classes: Addition of mage (draxian), sorcerer (naru), etc. Share the program used to create the tiles map. The players will be able to create their own maps and they will be played by other players thanks to the steam workshop tool. Cities for each map (lv30-40, lv40-50 and lv50-60). Add in PvP gear that can be purchased by spending a large amount of PvP points. Not that many people actively do PvP right now and this would give an incentive for them to start once they hit lvl 30 or have okay items. A place where you will be able to buy/sell items from players. There will be an interactuable NPC with 2 tags (Buy and Sell). In the Sell Tag, Any player can put on sale an item specificating a price during 12 hours or 24 hours. If the sale time of an item run out, the unsold items will return to the player who put it on sale. The rest of players will be able to see, in the Buy Tag, which items are being sold. The capacity of the trading house will be determinated depending on how much is it used by the players once it is implemented (A scroll movement similar to the character selection screen will be great here). It can also have a browser with filters to select the category, Tier and the type of item that the player is looking for. For Example (Legendary Tier2 Gloves) will display all the Legendary Tier2 Gloves which are being sold. Extending the plan till lv 70-80 instead of 60. Honor system, which can be used for stuff later on. This page was last edited on 20 June 2017, at 13:52.